This is a "Stay to Play" tournament. Upon acceptance to the tournament, all out of town teams must reserve rooms through TRAVELING TEAMS™ and stay in a tournament approved property at the tournament rates, or your team will be subject to a $650 housing buyout fee. There is a mandatory 8 room minimum per team (not organization) per night. The eight (8) room minimum must be met for each night of your team’s stay or until you are eliminated from championship play. 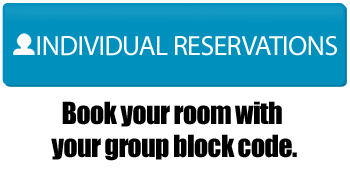 Any teams not utilizing the minimum of 8 rooms for the tournament will be charged a pro-rated buyout fee of $81.25 per room short of the 8 room minimum.